Oh SO sorry to hear that you haven’t fully recovered as yet from that virus and inspite of your Sasha Dolls TLC. 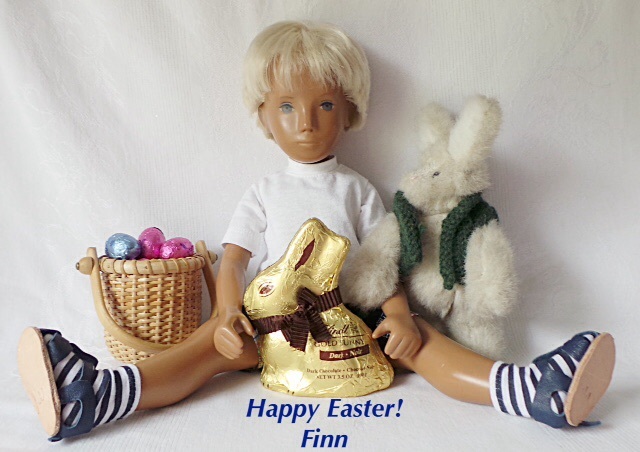 Perhaps some of Finn’s Easter chocolate goodies will help put you 100% back on yoir feet? At least give it a try. Happy Easter Ginger and Finn. I hope you get well soon Ginger. I hope you haven’t tried rushing back to work before you’re fully better.